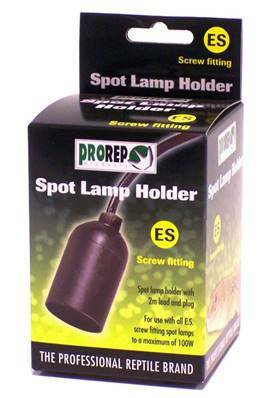 The ProRep screw fixture lamp fitting with plug will allow you to install a basking or coloured spot lamp into your vivarium. It comes complete with a UK plug so no wiring is needed. Suitable for all standard screw fitting bulbs. This fixture is not safe to be used with ceramic heat lamps.